Stuzo has announced the public launch of Open Commerce SM Application Server and Command Center, the first and only agnostic platform to empower rapid delivery and real-time management of Digital Services and Experiences for Fuel and Convenience Retailers. 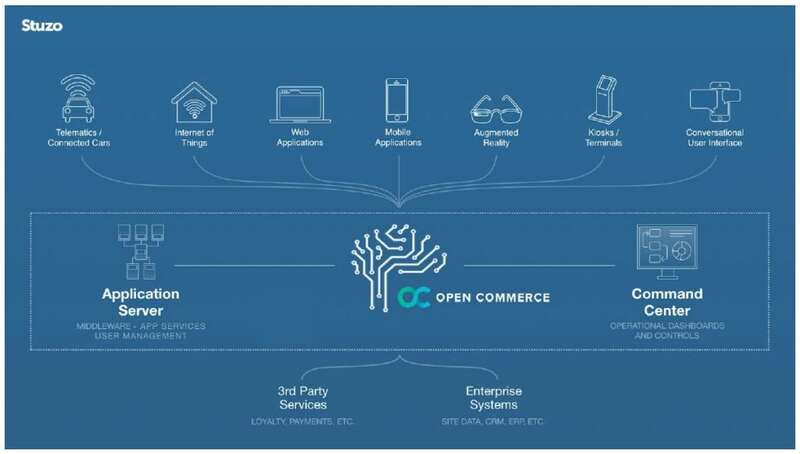 Open Commerce Application Server is a PCI DSS Level 1 Certified Compliant middleware that securely unifies and exposes best-in-class Digital Services from multiple vendors into one central point-of-interface via a public API to empower merchants and their vendors to rapidly and efficiently deliver connected commerce applications across digital channels. Open Commerce Command Center is a web-based portal that centralizes and operationalizes the key functions and data of Digital Services from multiple vendors into one interface with dashboards and workflows that empower merchants to in real-time monitor, manage, and optimize mission-critical programs powered by multiple third-party services. “We are thrilled to announce the public release of our Open Commerce Platform, which already has proven proof-of-performance with some of the largest fuel and convenience retail operators in the US,” said Gunter Pfau, Founder & CEO, Stuzo. By unifying provider capabilities via one central middleware powering front end experiences across digital channels, and providing one central command center for the operationalization and optimization of mission-critical programs, Stuzo has solved the IT and marketing challenges of today while creating opportunity for rapid growth in digital, tomorrow.